Granny Smith apple juice gives this sensationally tart mix its famous pucker power. We blend ours with pure California lemon juice for a smooth flavor that doesn’t hide its natural tartness. 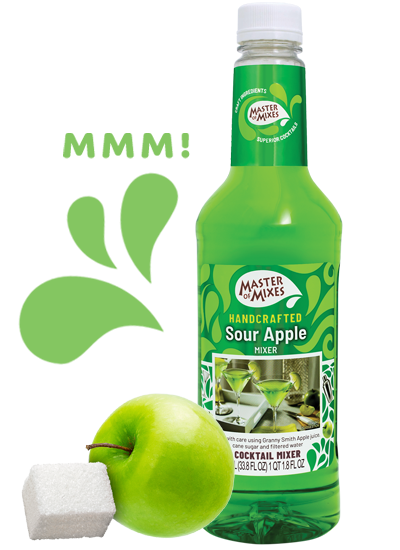 Next time you crave pucker perfection, reach for Master of Mixes Sour Apple Martini. Want to learn how to use Sour Apple Martini like a pro? Boost the pucker power of this pleasantly tart Sour Apple mixer using hundreds of recipes, tips, tricks and techniques at MixologyPro.com.